Leading by Example – I’ve worked to earn the trust of the people of the Space Coast and Treasure Coast by being an example of accountability in government. When it comes to accountability, I believe that Members of Congress must lead by example. Reforming Congress: I have made Congressional reform and accountability priorities in my service in Congress. Blocking Congressional Pay Raises – Since I came to Congress in 2009, I have helped support successful efforts to block Congressional pay raises for 2010, 2011, 2012, 2013 and 2014. I also thought it was wrong for Congress to pass a pay raise in 2008. To lead by example, I have given every cent of that pay raise back to the US Treasury each year even though it was approved the year before I was sworn in as a Member of Congress. Ending the Congressional Death Benefit – I introduced legislation to end a generous congressional death benefit. I believe Members of Congress should purchase their own life insurance like all other Americans and we should end the special payment of one year’s salary to the surviving family when a Member of Congress dies. Cutting My Own Budget by Over $600,000 – I’ve made it a priority to cut my own Congressional office budget and return unspent money to the U.S. Treasury. I also worked to support successful efforts to cut overall Congressional budgets by 5% in 2010 and 6% in 2011. We also froze federal salaries for two years. Ending the Revolving Door Between Congress and Lobbying – I introduced legislation to close the so-called “Daschle Loophole” by instituting a 5-year ban on lobbying by former Members of Congress and senior Congressional staff to limit unfair influence on the legislative process. My legislation also says that if you want to become a lobbyist, you have to forfeit your federal retirement benefits. If you are serving in Congress as a Member or staffer, your focus should be on public service, not how you can use such service as a means to a lucrative lobbying career. Promoting Transparency: My rule in Congress about passing “Too Big to Read” bills has been “If I can’t read it, my vote is NO”. 3 Day Rule – I introduced legislation in 2009 to require that bills be made available to the public and Members of Congress for at least 3 days before any vote could be held on it. At the beginning of this Congress, the 3 day rule was included in the House Rules for the 112th Congress. Single Issue Voting – In 2009 I filed legislation to encourage single issue voting which would prevent unrelated amendments from being attached to must-pass legislation. Congressional Committee Transparency – The House Financial Services Committee approved my amendment requiring that all Committee votes be posted on the Committee website within 48 hours. Legislative Transparency – I filed an amendment requiring that legislative changes be more transparent by making available to legislators and the public comparative prints so that everyone can more readily understand what changes are being proposed to existing laws. 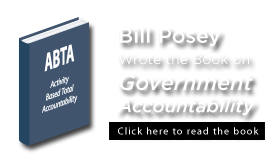 This type of transparency will bring greater accountability to Washington. Auditing the Federal Reserve – I proudly cosponsored legislation to require an audit of the Federal Reserve. This legislation, which I helped draft, was partially enacted into law in 2010 and now I’m working with like-minded colleagues to get the rest of it approved. Holding Regulators and Wrong-Doers Accountable: As a member of the House Financial Services Committee, I’ve focused on holding regulators accountable for their failures to enforce existing regulations and I’m working to see that they implement new ones fairly. Below are just a few of the areas on which I have focused. I pressed the Securities and Exchange Commission (SEC) to investigate the massive breakdown that allowed Bernie Madoff’s $70 billion Ponzi scheme to continue despite having all of the evidence. I’ve been a leader in calling for a special prosecutor to investigate MF Global’s collapse, former Senator Jon Corzine’s role in the “misplacement” of over $1.2 billion in client money, and ensure that the money is returned to thousands of small investors. I’ve worked to hold banking regulators accountable for over-regulating and causing the failures of small community banks while applying less regulation to large banks. Small community banks are the life-blood of our local economy and small businesses need access to them. I believe that accountability will help restore public confidence in our financial markets and further protect investors from future abuse and fraudulent activities. The need to restore a growing economy is the most important issue facing Congress right now. In fact for me it has been the most important issue since I arrived in Congress in 2009. Sadly, in 2009 and 2010, the Obama Administration and the Pelosi-Reid led Congress chose to largely ignore the economy and instead focused on passing a massive federal takeover of health care that most Americans did not want, that most now want repealed, and which most economists agree is a serious impediment to economic growth and job creation. In their 2014 report on the law, the Congressional Budget Office said the law would create incentives for Americans to work fewer hours equivalent to over 2 million jobs. While we were not able to block Obamacare and the failed stimulus plan, we were able to block their proposed “cap and trade” national energy tax. This energy tax scheme – whether hidden or direct – would have imposed a $2 trillion dollar cost to our economy resulting in the loss of even more American jobs and higher prices. The Administration is now attempting to impose these job-killing mandates through EPA regulations and I am supporting efforts to block them and keep American jobs first. Driving up the cost of energy will only cause our economy to suffer more, driving businesses and jobs overseas, making it harder for American-made products to compete, and taking more money out of your wallet to pay for gasoline or electricity leaving less for a necessity, a movie, dinner out, or clothes for the kids. Businesses large and small face great uncertainty about the potential costs of a mountain of regulations and red tape that has continued to flow at record levels from Washington – from the health care bill, the Dodd-Frank law, and a host of federal bureaucracies that are stuck in Washington and out of touch with main street America. More than 4,000 regulations are being written right now and many of these new rules will impact those wanting to do business here in America. With these costly and burdensome regulations, it’s not surprising that small businesses can’t expand or hire new workers. To help remedy this problem I voted for a moratorium on new non-safety related regulations so that America’s employers can focus on growing their businesses and hiring new workers rather that trying to figure out how to comply with all this red tape. Now is the worst time to raise taxes on American businesses. We need to encourage businesses to grow and expand here in America by lowering taxes and creating a more competitive environment. That’s why I supported reducing taxes on small businesses and opposed efforts by the Administration to further increase the tax burden on America’s job creators. It’s wrong to force millions of small businesses to pay higher tax rates than large corporations, which puts small businesses at a competitive disadvantage. The corporate tax rate in the United States is still the highest in the world. There is bipartisan agreement that we need to lower these rates and eliminate special tax loopholes so that large companies will have an incentive to create jobs right here in America. With tens of billions of your tax dollars being wasted in Washington, we don’t need any more large government spending programs to “stimulate” the economy. We need to put an end to the cycle of cronyism that funnels billions into the pockets and special projects of the politically connected. The only way to truly get America back on track is by instituting sound long-term solutions that make our nation a good place to start and build a business today and tomorrow. And that is what’s needed to put our fellow Americans back to work. The President’s health care law was the wrong prescription for our health care problems and I believe it should be repealed and replaced with a plan based on individual liberty and personal freedom. The Obamcare law undermines individual liberty and choice, adds trillions of dollars to the National Debt, has driven the cost of medical insurance even higher, has cut Medicare by over a half a trillion dollars, and imposed costly mandates on America’s job creators that has hampered job-creation and resulted in millions of Americans losing their health care plan. One side effect of this law is that many Americans are left with part time jobs rather than the full time jobs that they want and need. Let’s be clear here. We absolutely need to fix the short-comings in the health care system, but the new law goes far beyond addressing the short-comings, as it is unaffordable, eliminates individual choice, puts your private health care information at risk, and puts government bureaucrats between you and your physician. We should make sure that health insurers cannot drop people from coverage when they get sick. I’ve successfully gone after insurance companies when they charge Florida residents for health insurance and then refuse to pay medical bills or deny patients live-saving treatments. That’s fraud and it should be prosecuted. We should have in place provisions that enable those with pre-existing conditions to enroll in affordable health insurance. And, we can do this without turning everything over to the federal government. We need to enact policies that focus on driving costs down and making quality health insurance more affordable for all Americans. These proposals include putting in place market forces that empower individuals to make their own health care decisions. Americans should be permitted to purchase health insurance across state lines and we should encourage and expand tax-free Health Savings Accounts, which empower individuals in the health care marketplace. We should empower Americans to choose the health plan that best meets their needs and that they can afford, and adopt a generous tax deduction to enable the purchase of that health care coverage. And, we need better high-risk pools to ensure good affordable health insurance for those who otherwise could not afford insurance. The federal government will take in about $3 trillion in revenue this year but it will spend more than $3.5 trillion. In fact, in just the last 5 years, the national debt has spiked, rising from $10.6 trillion the day President Obama took office to more than $17.5 trillion. That’s about $55,000 for every person in the United States. The amount of debt accumulated in just this short period of time is equivalent to the amount of debt incurred from George Washington to the second year of the Presidency of George W. Bush (March 2003). This is the wrong legacy to leave our children, and that is why I have voted against most of the spending legislation during my service in the Congress. I’ve been a strong supporter of fiscal restraint and I believe that Congress has a Constitutional duty to set the government’s spending priorities rather than simply impose an across the board cut like was done in 2013 through the sequestration process, which let’s unelected bureaucrats decide our spending priorities. That is why I voted against sequestration, because the cut does not distinguish between critical programs and wasteful spending. We need spending cuts that are more targeted and focus on waste, fraud, abuse and duplicative programs. President Reagan was right, Washington has a spending problem and we must restrain spending. We need a Constitutional Balanced Budget Amendment (BBA). In 1997 when the BBA fell just one vote short of passage in the U.S. Senate the national debt was about $5.4 trillion. Those who voted NO in 1997 said that Washington as capable of getting its own budget in order and did not need the BBA. How wrong they were! Today our national debt is over $17 trillion. That one vote could have put America on a more stable fiscal pathway. As your Congressman, I am committed to a strong national defense. We must ensure that our troops are the best trained, best prepared and best equipped for the battlefield. This posture of strength is our best defense. We must recognize that the world is a dangerous place and we must remain vigilant. Fulfilling our commitments to those veterans who have served is not only the right thing to do; it is key to preserving our all-volunteer force. Like all areas of the budget, our national defense budget needs to become leaner and we can do this without cutting vital national security needs and essential training, vital facilities and operations like those at Patrick Air Force Base, Cape Canaveral Air Force Station and the Naval Ordnance Training Unit. I opposed the sequestration of our national defense budget because I believe that spending restraint needs to be more targeted and direct, rather than an across the board cut that jeopardize our priorities while ignoring the real waste. In addition to opposing sequestration, I voted for legislation to replace the defense sequester with targeted spending reforms in other areas, but that was blocked by the U.S. Senate and opposed by the President. The U.S. Department of Energy was created during the Carter Administration to ensure energy independence and reduce our reliance on Middle East oil. The fact that we are now even more dependent on Middle East oil supplies demonstrates that the solution is not found in Washington’s agencies and departments. I have supported sound policies that enable America to develop our own energy sources. Access to affordable energy is critical to American competitiveness, turning this economy around and creating American jobs. As a case in point, economists point to the recent drop in natural gas prices as the key factor in leading companies to consider industrial expansion and job-creation here in the United States. I support an all of the above approach to developing our own American energy – oil, gas, nuclear, solar, hydroelectric, wind and biofuels. And, energy conservation needs to be a part of our energy strategy as well. Reducing our reliance on volatile Middle East oil is a priority for me because it will give Americans access to affordable energy and end the practice of sending a $1 billion a day from American wallets to Middle East countries that do not have our best interests in mind. Approval of the Keystone XL pipeline will enable us to import oil from our friendly neighbor to the north, Canada, and it will provide us with a more reliable source of oil; and reduce our billion-dollar a day payments to the Middle East. It will also put thousands of Americans to work in building the pipeline and at refineries. Rather than the mountain of red tape and burdensome rules from federal agencies, we need a federal government that opens the doors for safe energy development. We can start to open those doors by allowing more responsible development of traditional sources of energy right here in the U.S.
We need additional new, safe nuclear power facilities. These take a decade or more to construct, but when completed and on-line they produce cleaner energy and cleaner air. We need also to foster the development of advanced alternative energy technology including solar power, advanced batteries and cost-effective and clean biofuels. These and other alternative energy technologies will foster the growth of new energy sources in smaller quantities during the near-term and larger amounts over the longer-term. Conservation and energy-saving initiatives are also a key component to our energy independence. Only with an “all of the above” energy independence strategy can we reach a place where America produces its own energy for its people at a lower cost to American families. As a former worker at KSC and former Chairman of Space Florida’s predecessor organization, I believe that America must absolutely remain at the forefront of space research and exploration. Not only will continued space exploration keep much-needed, high paying jobs here in Brevard County and throughout the Space Coast, but it ensures America remains first in innovations that will make the world a better place to live, and puts America in the lead on sending humankind farther out into space than anyone could have ever imagined. Space is the ultimate military high ground and we cannot afford to cede that to Russia, China or anyone else. To do so puts our national security at risk. The Chinese have already taken laser target practice at satellites, and recent Congressional testimony by top military experts highlights the growing vulnerabilities of our military space assets posed by China. Meanwhile, we are paying the Russians over $70 million for each U.S. astronaut they put on the International Space Station. I fought against allowing a U.S. human space flight gap and filed bipartisan legislation to close the gap. The Administration chose a different path, one that made the U.S. human space flight gap longer, choosing not to extend the Shuttle program and terminating most of the Constellation program – a $9 billion investment. We are moving forward with a commercial crew program in which NASA has contracted with American companies to develop commercial crew vehicles to carry U.S. astronauts to low earth orbit. I have voted for a robust budget for this program and a path that brings this to reality as quickly as possible. We have seen several successful commercial cargo missions and I am hopeful that we can move to a successful commercial crew program as well so that we can eliminate the need for Russian launch services. The Multi-Purpose Crew Vehicle, Orion, and the heavy lift Space Launch System (SLS) remain key to our missions beyond low earth orbit. My RACE for Space Act (HR 4401), which was signed into law, will serve to eliminate red tape and ensure that the Department of Defense and commercial space launch companies can get better efficiencies launching at the Cape. The SOARs Act, which I introduced with other Members of Congress, will help us capture the suborbital and orbital commercial marketplace that is budding. The SOARS Act breaks through bureaucratic hurdles and helps this infant industry move forward unencumbered by stifling regulation. Another key to capturing the commercial space business is eliminating the red tape when it comes to shifting NASA facilities and equipment to commercial space companies. Our immigration system is broken and needs to be fixed. When Congress last passed amnesty legislation in 1986, the American people were promised that the border would be secured. That was 28 years ago, and our land, sea and air borders are far from meeting the promises that were made then. In 1996 Congress passed immigration reform legislation including border security provisions. In the aftermath of 9-11, the Congress approved recommendations from the 9-11 Commission to secure our border, including an exit-entry system, 700 miles of border fence and other provisions. You may recall that all of the 19 terrorists had entered the U.S. on valid visas. As of today, 28 years after the promise of secure borders, the borders are still not secure. Only 40 of the 700 miles of fence have been constructed. And, there is still no entry-exit system to make sure that those granted entry to the U.S. actually leave when they are required to do so under the terms of their visa. The Senate immigration bill fails to address the fundamental problem, which is unsecured borders and lack of enforcement. In fact, the Congressional Budget Office says the Senate bill will lead to another 5 million illegal immigrants by 2023. That not fair to the millions of American out of work today, and it’s not fair to millions of people in line to immigrate to the U.S. legally. Today, more than 20 million Americans are still looking for work, as they are either unemployed or underemployed. Millions more Americans have simply left the workforce having given up on finding a job. The summer of 2013 saw the lowest number of 16-19 years olds with summer jobs – less than one in three were able to find summertime work. While the overall unemployment rate was over 7% in August 2013, unemployment was 13% in the African American community and 9.2% among Hispanics. I believe that we have an obligation to see that these individuals can find employment and begin to live the American dream before allowing millions of additional individuals to enter the workforce to compete with them for these limited jobs. This is particularly important given the anemic economic recovery that has fallen far short of what is needed to build a strong America. We are the most welcoming nation in the world welcoming nearly a million new Americans each year as they legally immigrate to the U.S. each year. Social Security and Medicare are critical programs for our nation’s seniors. With regard to Social Security I have voted against making any changes to Social Security. I have also cosponsored and voted for legislation that would guarantee that Social Security checks are never held hostage to budget negotiations. This legislation guarantees that Social Security checks are paid. Social Security is a contract between seniors who paid into the program and the federal government, and these obligations must be met. As for Medicare, I am a strong supporter of Medicare and voted against President Obama’s health care law, which cut over a half a trillion dollars from the Medicare budget. I also voted against legislation that would have made other changes for those who are nearing retirement. For those under age 55 who want to choose a different plan, I believe that we should allow them choices when they reach 65, but also ensure that they have access to traditional Medicare, with no changes, if they so desire. The Medicare Advantage plan that more than one in four seniors in my Congressional District have chosen is the sort of choice options that have proven very successful and should be expanded. I have been a strong supporter of bipartisan legislation to repeal Medicare’s Independent Payment Advisory Board (IPAB). IPAB was included in the President’s health care law and gives 15 unelected, unaccountable government bean counters the power to reduce Medicare services for seniors. It is critical that this panel be repealed. Even Howard Dean, the former head of the Democratic National Committee said that the IPAB would cut benefits for seniors. Our Indian River Lagoon is one of the nation’s most diverse estuaries. It greatly enhances our communities and contributes significantly to our local beauty and economy. I raised my family along the Lagoon. It’s important we do all we can to care for our Lagoon and maintain its health and vitality. Harmful algal blooms over the past 4 years have contributed significantly to degradation in our Lagoon. I was pleased to lead a bipartisan effort in the House to amend a Senate bill in the House Science Committee to enhance research coordination across all level of government. The research funded through this legislation contributes to our efforts to better understand the causes of and prevention of harmful algal blooms. This bill was unanimously approved by the House. I actively supported reauthorization and funding for the National Estuary Program, which assists local communities in maintaining nationally significant estuaries like the Indian River Lagoon by funding research, planning, and restoration initiatives. Funding for the Prescott Marine Mammal Rescue Assistance matching grant program is also important in giving us a better understand the cause of death for dolphins and manatees. When the Administration proposed cutting 2014 funding for the Prescott program, I stepped up to support funding for the program and that funding was restored. Ultimately it’s up to all of us – our communities, local, state and federal leaders – to work together and take responsibility for our Lagoon and support efforts to preserve and restore the health of our Lagoon. Many of our local communities and counties have taken steps to address issues related to the Lagoon. There are very helpful resources available at http://www.sjrwmd.com/waterbodies/whatyoucando.html. I have a strong record of supporting veterans through my efforts in the U.S. Congress as well as in the state legislature. The scandal that has plagued the VA and our veterans is inexcusable and I have voted to hold these VA employees completely accountable for the malfeasance. As a member of the House Military Veterans Caucus I am actively engaged with a bipartisan coalition of Members of Congress to make sure that the nation fulfills its commitments to those who have served our nation in uniform. We have had strong, robust funding for our veterans programs, even during these tight budget times. Veterans’ benefits are earned benefits, and he believes meeting these obligations should be one of our highest priorities.